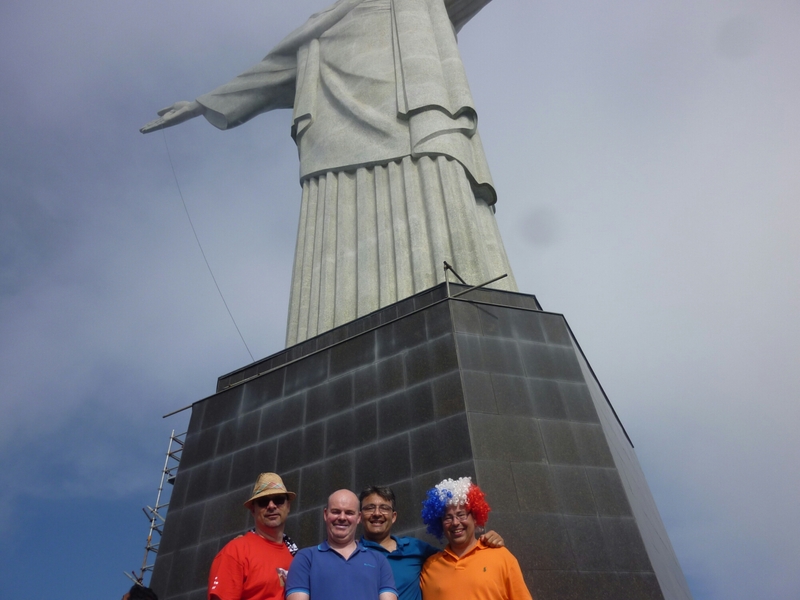 I’m very much a learner re photography so apologies for the Brazil trip photo quality. I’m using an old compact with a couple of lens issues but it’s easy to carry and very flexible which is key. However, I’ve tried to learn some basics of composition so I had to laugh when this happened. So was born this classic, missing the two key points of what I wanted, the four of us nicely sized in the foreground with Christ’s statue (including the head) over us. Love it. Note, we’re traveling all day July 6th into the 7th if the blog is a little quiet. See you on the other side.